Dye sublimation is a technique in which the ink is put into a coating by means of pressure and heating. Sublimation literally means a phase transition from a solid phase to a gaseous phase. 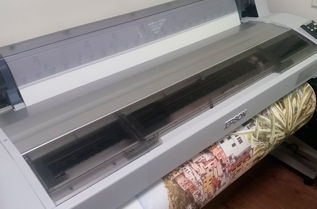 When printing the aluminium ChromaLuxe panels, sublimation inks are used which, by heating, takes a gaseous state. 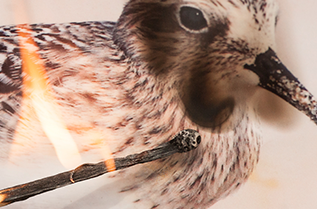 Heating takes about 3 to 8 minutes (depending on the surface area of the photo panel to be printed). 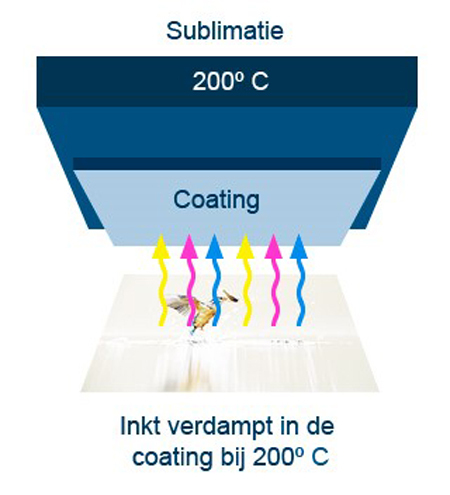 In this state, the ink can attach visibility to the coating on the Chromaluxe panels. 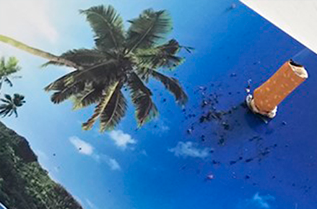 After sublimating the photo panel, the ink will return to a solid state and the sublimation ink will be attached to the panel. The ink is therefore not on the panel but forms a permanent bond with the panel. First, the photo is checked for the correct profile and number of pixels per inch. 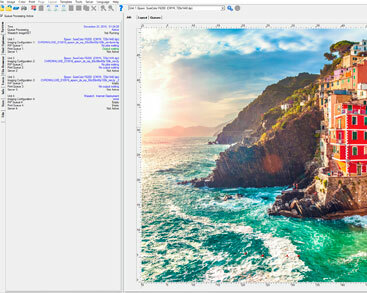 When the photo meets the requirements, it is put in a RIP (e. g. Wasatch) program and then it is sent to the printer when it meets the requirements. The photo is printed by the printer with special sublimation inks. These inks form a gas at a higher temperature. 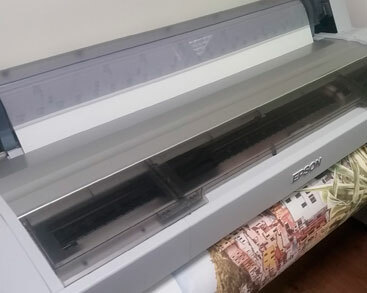 When the photo is printed, the product to sublimate is placed on the printout. 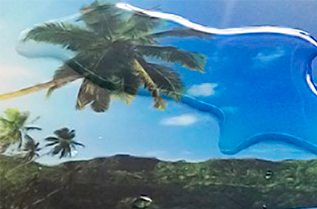 The product that is sublimated contains a coating. When heated, the ink pulls into the coating. 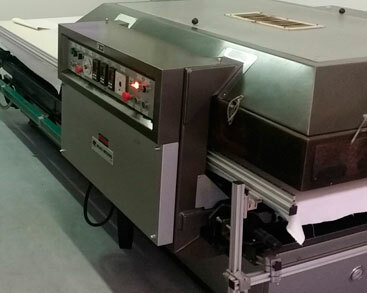 The photo and the sublimation product to be sublimated are placed in the press. The press is about 200 degrees Celsius. This heat evaporates the ink in the coating. 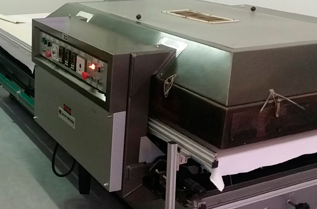 After the sublimation process, the ink is removed from the paper and contained in the coating. After sublimation, the product is still very hot and must be cooled down. Once the product has cooled down, the suspension system can be attached to the back. After attaching the suspension system, the product can be used. 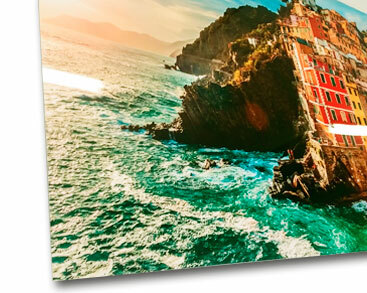 The result is a brilliant photo sublimated on an aluminium photo panel. The sublimation technique has been used for years. Previously it was mainly used in the textile trade. This could include sublimating polyester t-shirts. In it the ink is put into a polyester t-shirt. The advantage of this is that the print does not wear out quickly. The special thing about the ChromaLuxe coating is that it has a very nice sleek coating. This coating is unique and no other coating matches the brightness and sharpness obtained with the coating of ChromaLuxe. 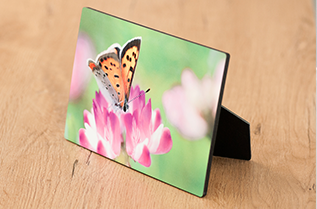 The aluminium photo panels of ChromaLuxe are specially developed for sublimation. 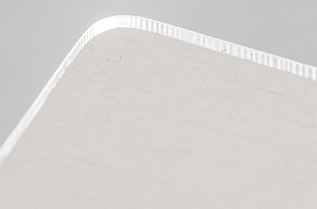 The photopanels have a thick coating layer which allows the ink to penetrate deep into the coating. 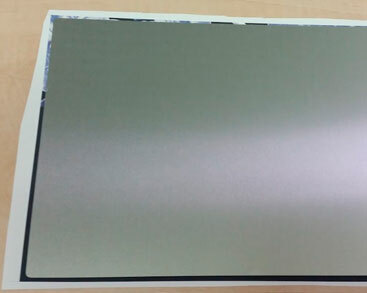 Photo panels manufactured in China often contain no more than two coatings, while ChromaLuxe photopanels contain up to 9 coatings. The thicker the coating layer, the deeper the ink can penetrate into the coating, resulting in extra colour, depth and sharpness. Sublimation can be applied to various materials as long as there is only a polyester coating. 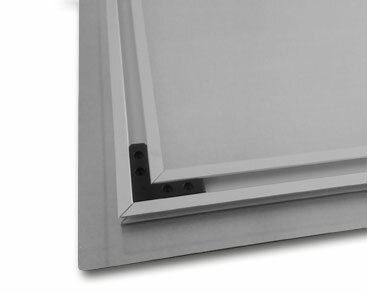 In addition to aluminium, we also sublimate on MDF, hardboard, fiberboard and glass. These materials are ideal for sublimation. Sublimating MDF may cause the MDF to warp due to heat. 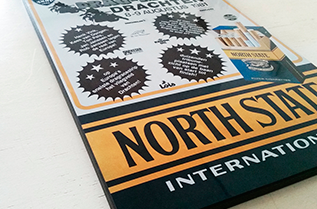 By giving the MDF counter-pressure after the sublimation process, the photo panel is pulled straight again.